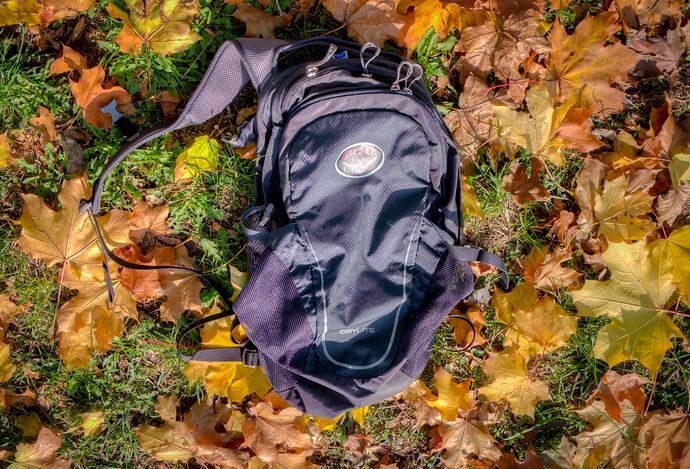 The Osprey Daylite Daypack is a small backpack designed for hiking or short sightseeing excursions but built with features more common in larger bags. Most daypacks are usually very simple, lacking comfort and versatility; falling apart soon after you’ve forgotten how cheap the price was. Although I generally treat my electronics tenderly, the luggage I carry it around in takes a beating. Reviews of backpacks when they’re new can be useful but seeing how they hold up after an extended period of travel shows you if they’re really worth the their price. This is my review of the Osprey Daylite Daypack, after a year of torturing traveling with it to over 10 countries. My primary carry-on backpack, the Swissgear Scansmart 1900 is very accommodating to all of the electronics I travel with but not very practical for lighter daily use or doubling as a sports bag. Since I’ve been using the reliable Sojourn 60L as my primary check-in luggage for years, I decided to try the Osprey Daylite, hoping it too would be worth the sightly higher price tag. The Daylite is 22 x 22 x 45 centimeters, holding roughly 13 liters in two main compartments. It weighs 450 grams (~1 lbs), has mesh shoulder straps, and a foam back to help keep your back cool. (Nobody likes excessive lower back sweat.) The chest and waist straps (38-55 centimeters) keep the Daylite close to your body so it doesn’t smack into you back and forth when hiking – additionally they help make the Daylite a very comfortable backpack to jog with. 13 liters is a good size to carry a pair of shoes, plus some extra clothes; the main compartment of the Daylite also holds the Swissgear Hanging Toiletry Kit (which makes for an ideal electronics organizer) perfectly when placed sideways. The smaller front compartment has a few dividers, good for keys, but they actually make the front pocket fairly useless. Being on the outside, it’s a tempting target for pickpockets so you’re not likely to store anything of importance there. Unfortunately, the front pocket with the dividers is just too small to be useful for much else. Dual side pockets for water bottles and the hydro-bladder on the back remind you Osprey designed the Daylite with hikers in mind. With that in mind, the Daylite isn’t waterproof, although it’s very water resistant and can easily keep its contents dry after hours of strong rain. For sightseeing, the Daylite lets you be selective about what you take from your hotel room when you’re out and about so you can travel light and leave your non-essential valuables locked up. A bit more expensive (they cost around $60) than a lot of other daypacks, for the price the Daylite is a versatile daypack that’s sure to last over many, many years of use.